Pure Silver Flutes are highly experienced and internationally trained professionals and have performed with Opera Australia, Orchestra Victoria, The Australian Pops Orchestra, Melbourne Opera, South Melbourne Symphony Orchestra and the Victorian Concert Orchestra amongst others. All Pure Silver musicians are specialists in their field and are graduates of the Victorian College of the Arts and the Melbourne Conservatorium of Music. They enjoy the privilege of regularly performing and maintaining a successful profile in the Classical music arena. 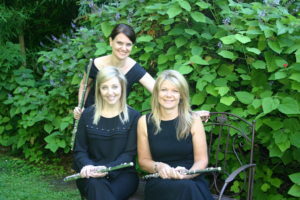 Our experienced musicians take pride in providing flute music of the highest calibre and utmost enjoyment. Pure Silver Flutes perform throughout Australia and have come to be recognised for their vibrant and charismatic performances and highly professional approach. We perform regularly at weddings, corporate events and private functions, as well as maintaining our involvement in Australia’s classical music scene.